Is there a better alternative to Brain App? Is Brain App really the best app in Puzzle category? Will Brain App work good on macOS 10.13.4? Brain App - the connected, social, cross-platform brain exercise experience. The simple exercises in Brain App are designed to awaken your mind, stimulate blood-flow in your brain, and with continued use can help strengthen neural connections - like a performance tune-up for your brain, speeding up reactions and improving memory recollection. 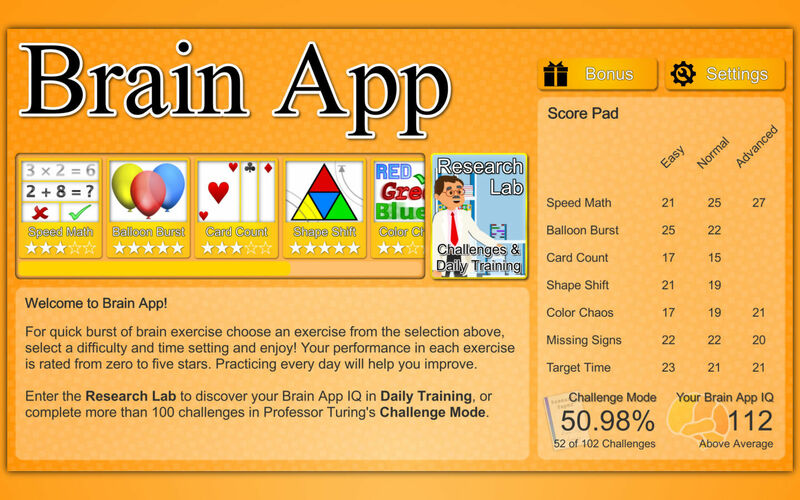 Brain App uses simple rapid-fire exercises to help keep your mind sharp. 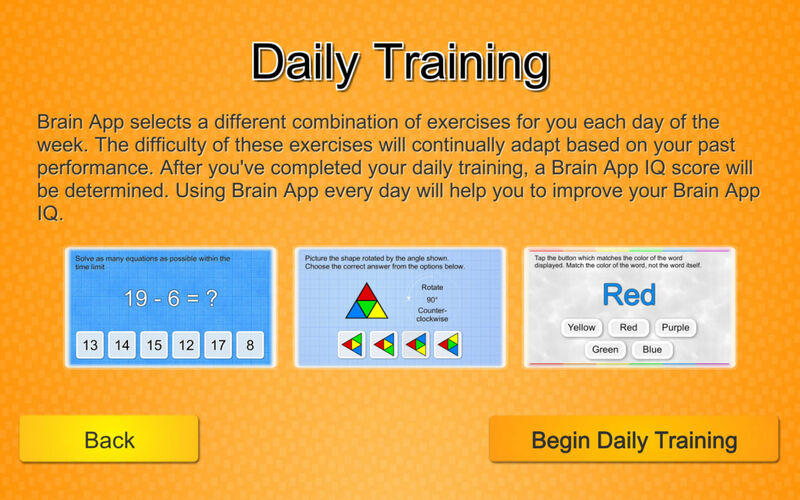 Join BrainApp.net the free social brain training platform, compare your scores with friends, and sync your profile between the iPhone, iPad and Mac versions. Brain App needs a review. Be the first to review this app and get the discussion started! Seventeen modes in six unique exercise types. Speed Math, Balloon Burst, Card Count, Missing Signs, Color Chaos, and Shape Shift. Adjustable difficulty and time settings. 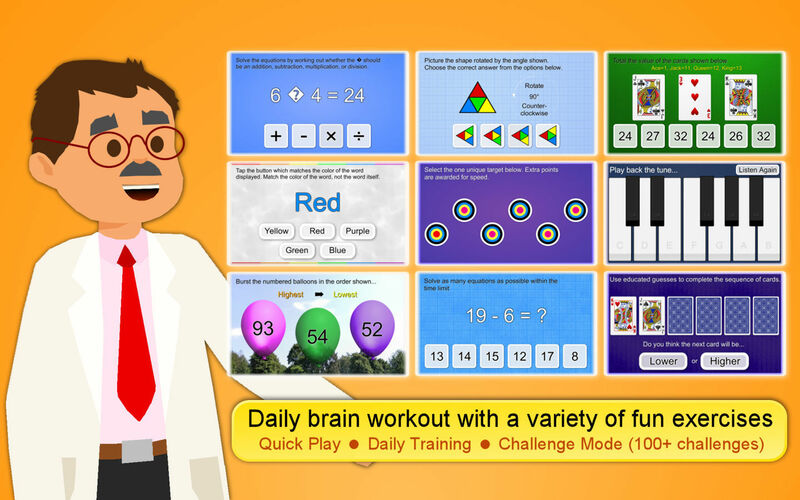 Your best scores are recorded on your Score Pad, and you will be challenged to beat them - and with BrainApp.net you friends will be challenged to beat your scores too! 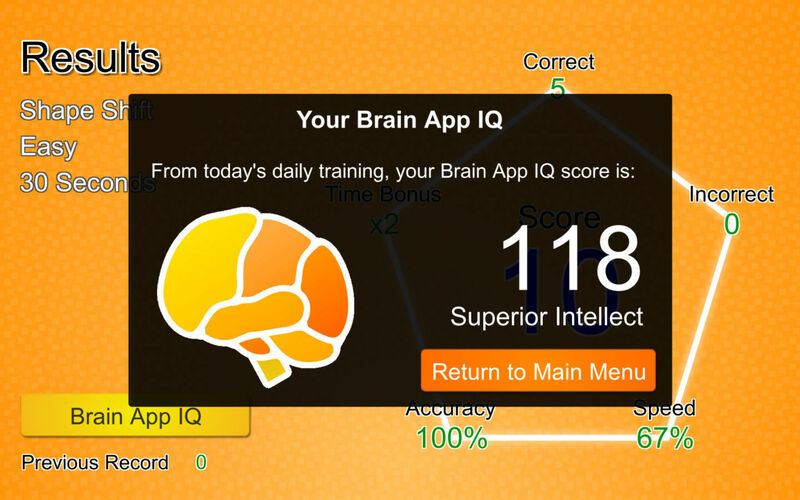 Brain App will give you an IQ score, determined by your performance in every brain exercise. Compare with your friends, are you the smartest? Graphs and Leaderboards help you compare with friends.